Comecer will be present at the CPhI – P-mec India 2017. 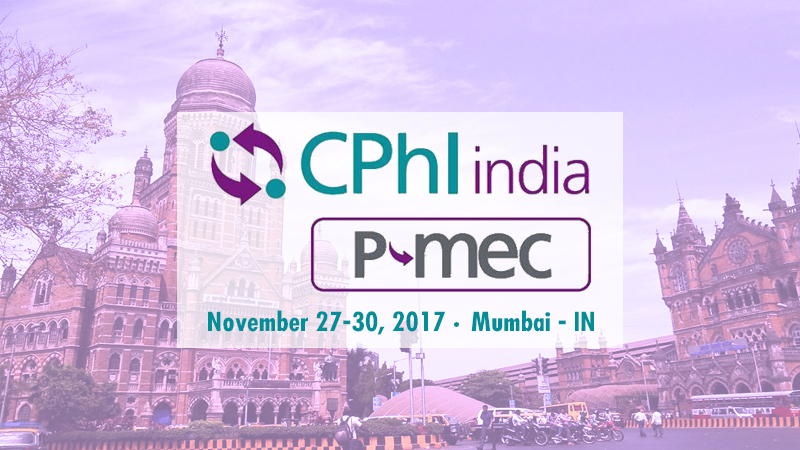 Comecer is coming to Mumbai, India, to be a part of CPhI – P-mec India 2017 taking place November 28-30 at the Bombay Exhibition Centre. You will find our Area Manager Mirko Tassinari in booth #B50 hall 06, with our local partner NKP Pharma. Comecer has a variety of product lines that can help you to meet pharmaceutical production challenges: RABS, vial filling systems, isolators, and much more. Meet us and present your production challenges to our experts. They will gladly share with you their global expertise and guide you. To make the most of your time at the event, you may wish to fix an appointment at a time that suits you best by filling out the form below. We look forward to seeing you in Mumbai. As the pharma industry is increasingly looking towards India for high quality, low cost pharma solutions, this event is the perfect place for companies looking for solutions in pharmaceutical industry, as CPHI/P-MEC in itself is a worldwide known exhibition for the Pharma-API industry. NKP Pharma too has created it brand value and we shall be displaying the entire filling line from washing to labelling, apart from that we have partnered with COMECER for isolation technology which shall attract more crowd to learn about isolation technology and the solutions we offer which shall fulfil industry requirements.